I have waited3 for the September "Mercury"4 but it has not come. I'll be in New York5 by the middle of September and will see it then. I'm very pleased that the "Archbishop"6 is still moving on. Now about Mabel Luhan7's memoirs. They are intensely interesting and alive. She has an unusual talent for writing. I don't remember all of the Villa Curonia part8, but I'm sure none of it is dull. As much of it is brilliant (and merciless!) portraiture of living people, she would have to cut it a great deal to avoid libel suits, I should think. I don't know how much this cutting would effect the whole. You ought to read it yourself in order to feel safe abu about the question of libel. I surely don't lament Wilson Follett's9 departure10. Prince Hamlets11 are awfully trying in business relations. I'll be back in New York soon after Blanche's12 return. August 28, 1928, is the Wednesday preceding August 31, 1928, when the letter was stamped as received. On 20 August 1928, Knopf wrote Cather that he had mailed her a copy of the September 1928 American Mercury Magazine, in which he had advertised Death Comes for the Archbishop. He also reported that the novel had passed 77,000 in sales. 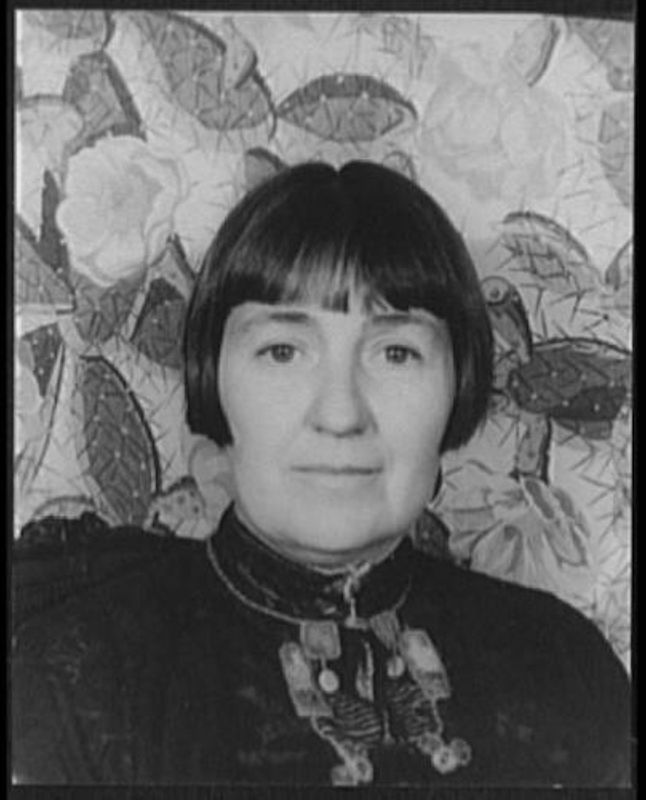 On 20 August 1928, Knopf reported that friends of Mabel Dodge Luhan had encouraged her to publish the Villa Curonia section of her memoirs separately as a book. From 1905-1912 Luhan and her then husband, Edwin Dodge, owned and occuppied Villa Curonia, a palatial residence located on a hilltop in Arcentri, Italy. Built by the Medicis in the fifteenth century, the villa overlooks the city of Florence on its north slope. Mabel and Edwin entertained Gertrude Stein, Alice B. Toklas, Andre Gide, and other artists there. 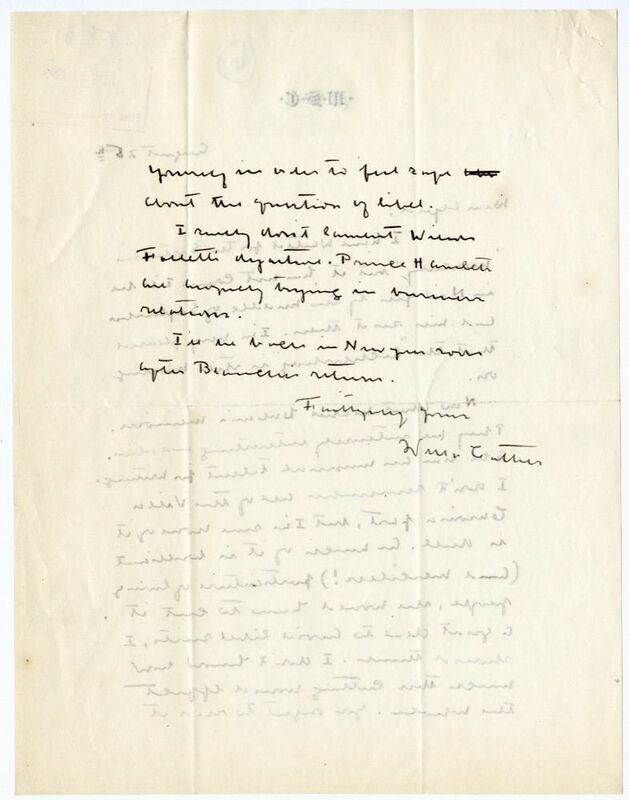 On 20 August 1928, Knopf informed Cather that Follett was "no longer connected with us," and he assumed she would not "weep many tears over his departure." Cather is evidently alluding to Prince Hamlet's famous "To be or not to be" soliloquy in William Shakespeare's Hamlet, i.e. Follett was indecisive. Luhan, Mabel Dodge (1879-1962). American patron of the arts and memoirist. Born Mabel Ganson into a wealthy Buffalo, NY, family, Mabel Evans traveled to Paris, France, in 1904 after the death of her first husband. She met and married Edwin Dodge there and moved with him to a villa in Florence, Italy, where they collected art and Mabel conducted a salon. She moved to New York City in 1912 and separated from her husband soon after (they divorced in 1916). 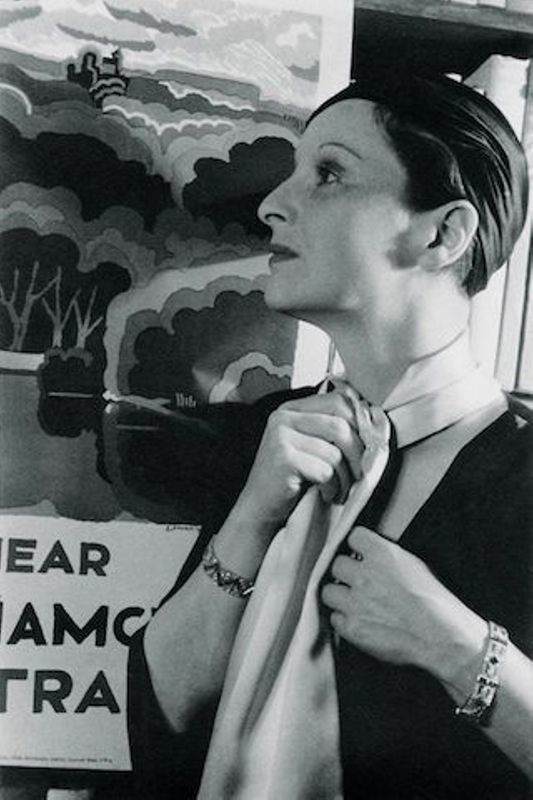 In her Fifth Avenue apartment near Washington Square, she reestablished her salon and supported modern art and radical political causes. Cather may have known Mabel Dodge slightly during her New York year but came to know her better in New Mexico, where she moved in 1917 with her third husband, Maurice Sterne, from whom she divorced in 1922. Mabel married Antonio Lujan, a Taos Pueblo Indian, in 1923. Thereafter she called herself Mabel Dodge Luhan. When Cather and Edith Lewis traveled to New Mexico in June 1925, Luhan invited Cather to visit her in Taos, seeking advice on her manuscript memoirs of her life. Lewis and Cather’s long stay in Taos inspired Death Comes for the Archbishop (1927). Cather and Lewis again stayed with Luhan in 1926, and although Luhan invited them back, they did not return to New Mexico. In 1928, Cather encouraged Alfred Knopf to consider publishing the early volumes of Luhan’s memoirs, praising them as “intensely interesting and alive” (#2589). 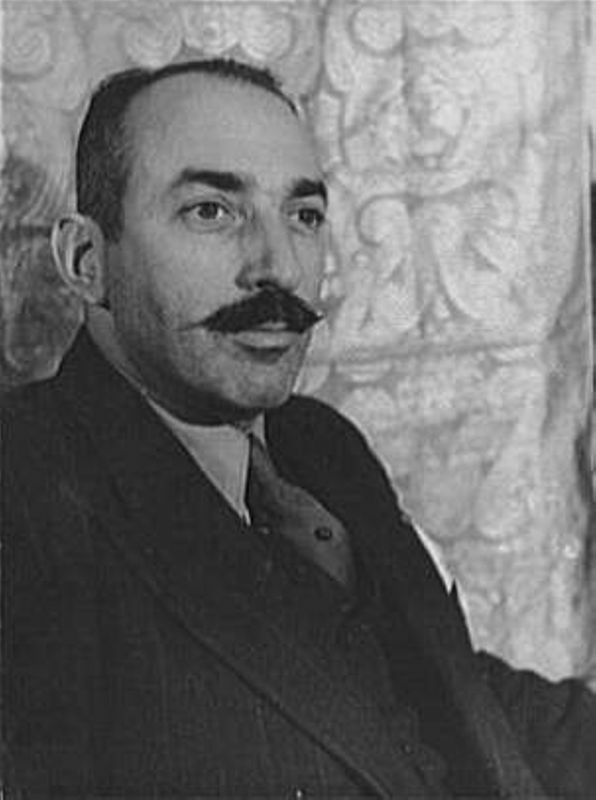 However, Harcourt Brace published all four volumes of Luhan’s memoirs, Background (1933), European Experiences (1935), Movers and Shakers (1936), and Edge of Taos Desert (1937). 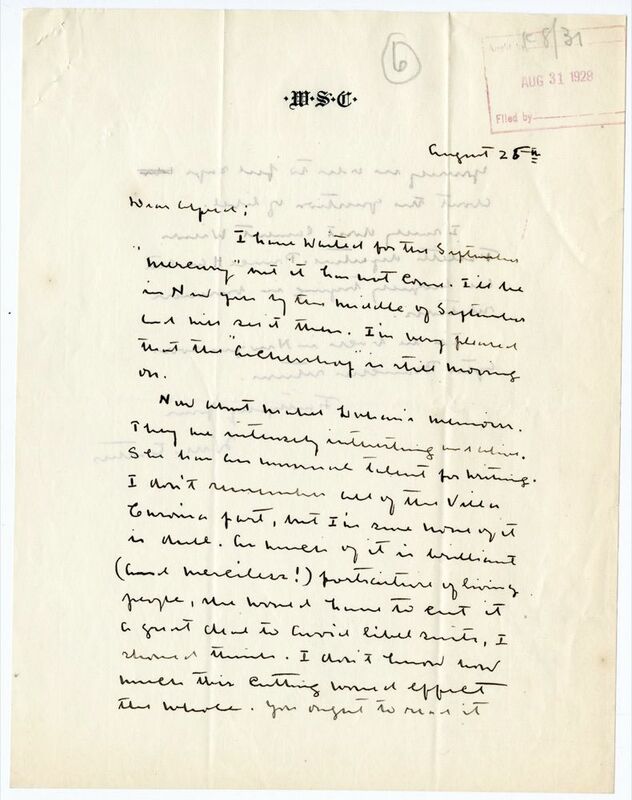 Cather also read the later portions in manuscript. Cather praised Luhan’s memoir of D.H. Lawrence during his New Mexico years, Lorenzo in Taos (Knopf 1932), as “the best portrait there ever will be of Lawrence” (#1036). Luhan lived in Taos until her death. Follett, Wilson (1887-1963). American editor, critic, and writer. Born in North Attleboro, MA, Follet taught English at several colleges after his 1909 graduation from Harvard University, until 1918, when he began a career in publishing, first at Yale University Press and then at Alfred A. Knopf, Inc. At Knopf Follett helped to edit a novel by his twelve-year old daughter, Barbara Newhall Follett, The House Without Windows (1927), which attracted a great deal of public attention. In 1928 Follett left both Knopf and his family, working as a freelance screen-writer in Los Angeles, but he returned to Knopf by 1939. Cather told Knopf that she did not lament his departure (#2589). As a writer and critic, he published in the Atlantic Monthly, Harper’s Magazine, and the New York Times Book Review. His most influential work, Modern American Usage: A Guide (1966), appeared posthumously.